Want a lighter-weight sweater in the style of Make It Red? 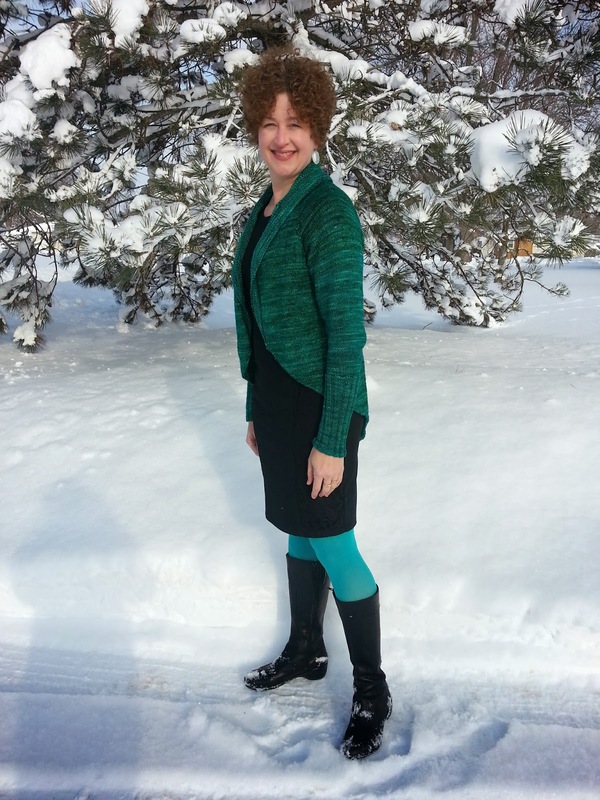 Ruth, the creator of Make It Purple, has also developed Make It Sport, a version of Make It Red knit in Neighborhood Fiber Co. Studio Sport. Want to make YOUR Make It Red Sport? 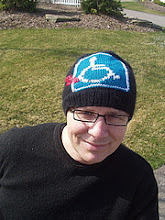 Here are the modifications, courtesy of Ruth, teacher, knitter, booth babe extraordinaire. 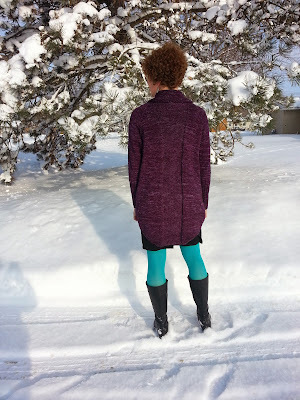 Note: Ruth made the back of Make It Sport in reverse Stockinette Stitch, like Make It Purple. 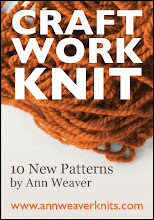 You can work the back in either a contrasting color or in reverse Stockinette; it's your choice! Just follow the Make It Purple notes for the reverse Stockinette version. 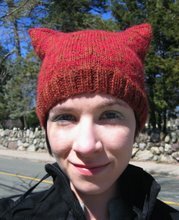 Yardage: The yarn requirements are the same as those in Make It Red. Body: Work all back increases, then work even to 8 inches (rather than 10 inches). 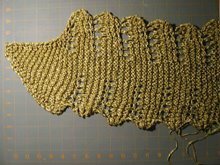 Sleeves: After first decrease round, work 4 (3, 2) rounds straight between decrease rounds. 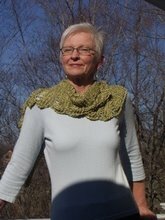 Ruth also made the collar a bit wider. This is a customization you can apply to any Make It version, so I'm going to talk about it in detail in a future post. Ruth is wearing the smallest size, and she has a 36-inch bust. I'd recommend the second size for bust sizes 38 through 44 and the third size for bust sizes 46 through 54. If you're coming to Vogue Knitting Live in NYC this weekend, Ruth and I will be there in the Neighborhood Fiber Co. booth with Make It Red, Make It Purple, Make It Sport, and SO MUCH MORE! 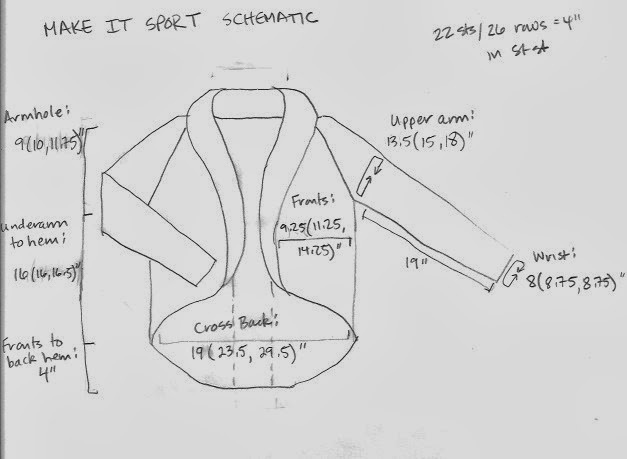 Remember Make It Red, the oversized jacket/cardigan I designed for Twentieth-Century Graphic? 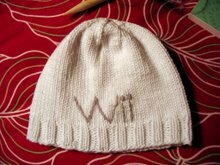 My good friend, expert knitter, and Weaverknits/Neighborhood Fiber Co. "booth babe" Ruth (aka nonstop knits) has created a few modified versions that I think are genius. It's amazing how a few seemingly small changes can transform a design. 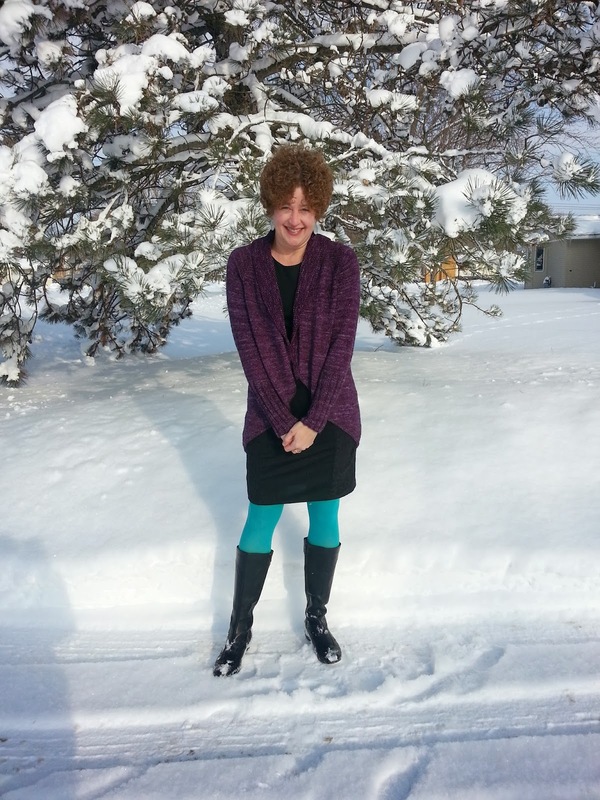 Ruth knit this cardigan in Neighborhood Fiber Co. Studio Worsted in the color Remington. 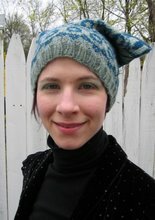 We brought it to Vogue Knitting Live Chicago and got a great response, so here are the details. 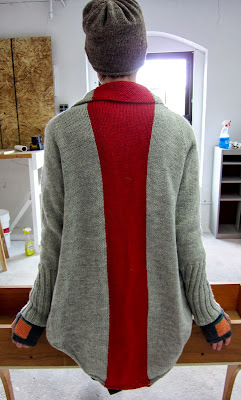 To Make It Purple, replace the intarsia stripe down the back of the cardigan (the red part) with reverse Stockinette stitch. That is, place the markers as indicated in the Make It Red pattern, but instead of working the stitches between these markers in your contrasting color, work them in reverse Stockinette stitch (purl them on right side rows and knit them on wrong side rows). 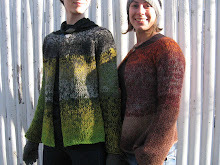 Come see it in person at Vogue Knitting Live NYC this weekend! Look for the lovely lady in the purple sweater!